All proceeds from this calendar will go towards the 2017 North Bay Fire Relief Fund. 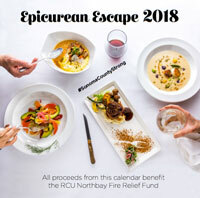 The calendar showcases a recipe for each month that features local seasonal produce from around Sonoma County. Also listed are annual festivals and events happening throughout the county.